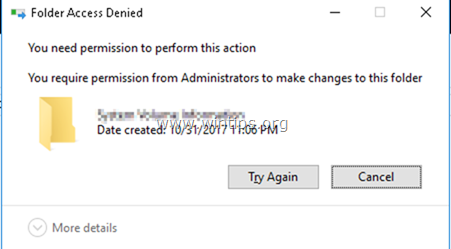 On a Windows 10/8/7 or Vista based computer, the following error appears when trying to delete a folder or file: "Access Denied – You need permission to perform this action. You require permission from SYSTEM or Administrators to make changes." 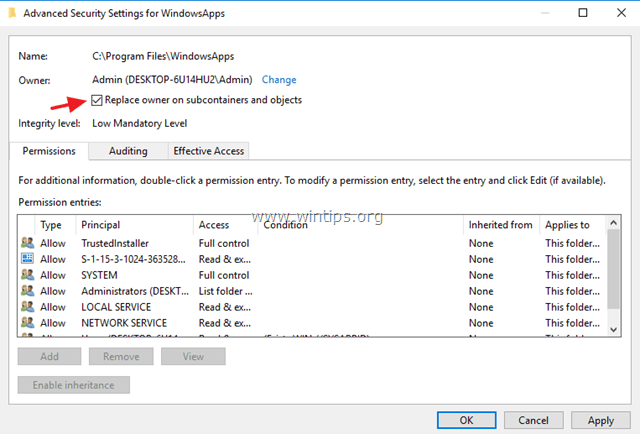 The "folder access denied – you need permission to perform this action" issue occurs because the folder or the file that you want to delete is locked by a process or a system service or because the file/folder is essential for Windows' operation.
" 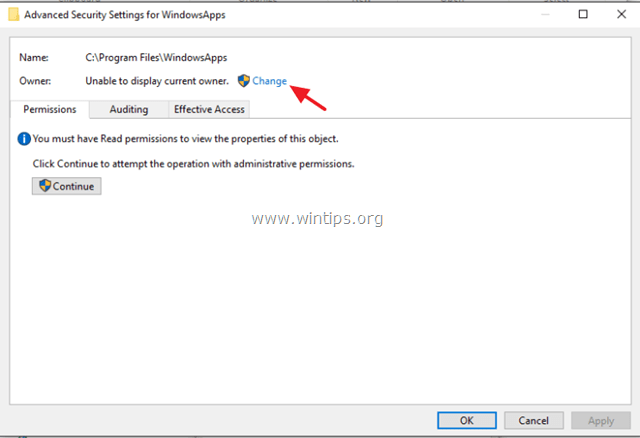 You require permission from SYSTEM to make changes to this folder…"
" You require permission from Administrators to make changes "
" Cannot delete file. Cannot read from the source file or disk "
" Cannot delete Folder. Directory Not Empty "
" Folder Access Denied. You need permission to perform this action"
How to Fix: You need permission to perform this action. Method 1. 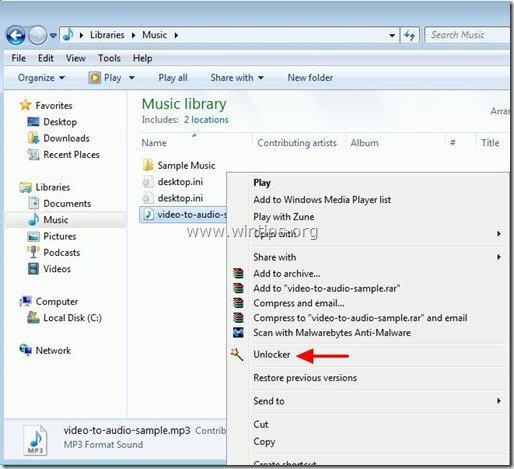 Delete the Folder/File that you cannot delete in Safe Mode. 1. Simultaneously press the Windows + R keys to open the 'Run' command box. 3. At the Boot tab, check the Safe Boot option and hit OK.
4. At the next window, click Restart. 5. In Windows Safe Mode, try to delete the folder/file. 6. 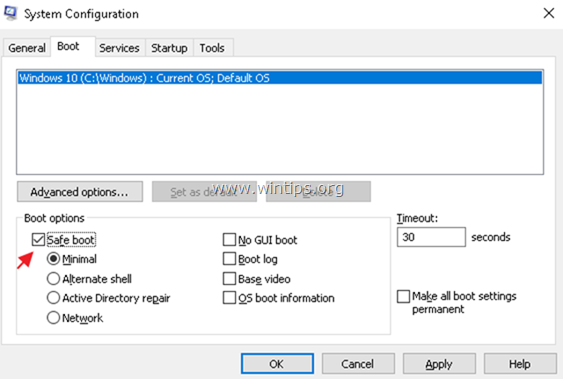 Then, open the System Configuration utility (msconfig) utility again and uncheck the Safe Boot option. Hit OK to re-start Windows normally. Method 2. 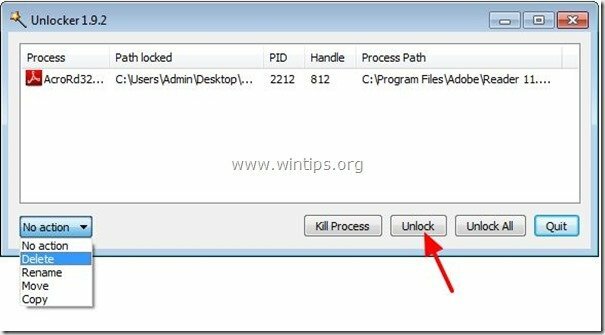 Use Unlocker to delete a locked folder/file. 1. Download and Install* the latest Unlocker version from here. 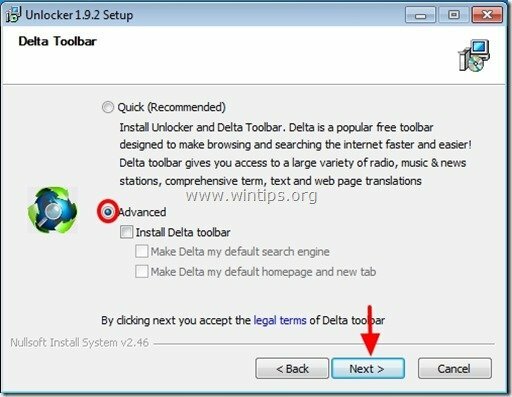 * Note: At 'Unlocker Setup' options, click Advanced and uncheck the "Install Delta Toolbar". 2. 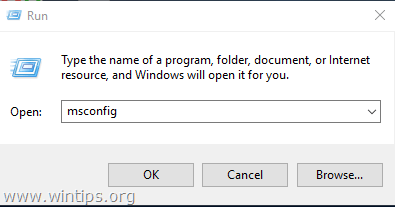 When the installation is completed, right click at the folder/file that you cannot delete and select Unlocker. * Note: If the file is locked by a process, then click Kill Process. Method 3. Change Folder's Owner. 1. 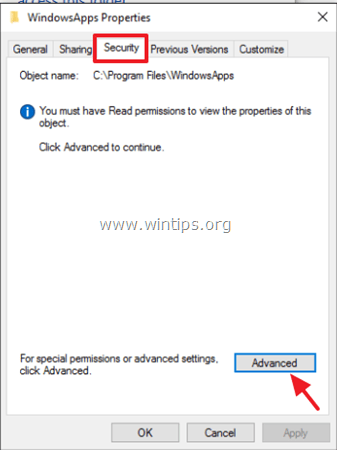 Right click at the folder or file that you cannot delete and select Properties. 2. Select the Security tab and click Advanced. 3. Click the Change Owner. 4. Type your account username (e.g. "Admin") and click OK.
5. 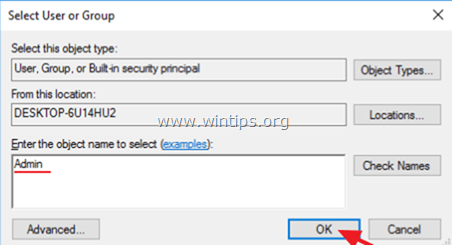 Check the "Replace owner on subcontainers and objects" checkbox and click OK. Then click OK again to close security settings. 6. Now try to delete the folder. Method 4. Delete the folder from Command Prompt. « How to Recover Deleted Files from Hard Drive, USB Stick or Memory Card. » How to Find Out Which Driver Cause Windows to Crash with a Blue Screen using Driver Verifier.